Sure, smart families have always asked that question when it came to college. But the colleges they thought were "the best" were immune to that examination. Most families wouldn't question the worth of attending a prestigious college. They might not have forked over their life savings for a college they'd never heard of, but for Princeton, it was just assumed that the benefits of attending will pay the family back both literally and figuratively. And that's what I think is going to change. Families are going to become much more college cost conscious. More families will consider whether the education at a private schools that costs $50,000 a year to attend is really that much better than the education a student could receive at a public university for a comparative fraction of the cost. Other people are asking the question already. Washington monthly just published this article called "The Prestige Racket" that examines one college's attempts to join the rankings of the most prestigious schools, and what it's costing the students who attend. Katie from our Bellevue, WA office got married yesterday. With the Collegewise counselors and the dean of admission from Katie's alma mater in attendance, this was the event to attend if you needed a little college admissions advice. But what I noticed most was the importance college experiences played in event. All of Katie's college roommates flew out for the wedding (one of them was also the maid of honor). The groom met all of his groomsmen while he was in college. Every toast that celebrated the couple's history and the role they've played in their friends' lives mentioned something about …"back in college…". I think it's fair to say that none of this would have happenend, none of these people would have met, even the happy couple would never have found each other, if each of them hadn't gone to their particular colleges. These are the kinds of college benefits that you can't predict or measure. You can't ask about them during the college tours and they aren't factored into the US News rankings. So much of what you will take away from college are the relationships you form while you're there. That's one of the reasons we believe so strongly that you don't have to go to a famous college to be happy and successful. If I ever needed a group of people to prove that was true, Katie's wedding was it. Ask Collegewise: What do you have against the highly-selective colleges? First, I disagree with your premise that the Ivy League schools are “the best,” and that anything else is “lesser,” but that really gets to the heart of your question. We have nothing against the most selective colleges. In fact, we work with students every year who go on to all of those schools and end up blissfully happy. What we’re trying to share with our families at Collegewise, and here on our blog, is that the famous colleges don’t necessarily offer better educations or experiences than the less famous schools. A lot of people assume that selective is inherently better, but that’s just not the case. It’s like a student saying that he will only be happy if he can date the head cheerleader whom everyone wants to date. There may be nothing wrong with the head cheerleader. She may be smart and funny and totally deserving of her popularity. But that doesn’t mean there aren’t other equally smart, funny and datable girls in the class. There’s no evidence to support the assertion that students who attend highly selective colleges end up smarter, happier, more successful or better looking than those who attend less famous schools. It’s what you do while you’re in college that counts. And the mistaken belief about the inherent superiority of highly selective colleges causes a lot of the problems with college admissions today. Kids don’t feel good about their college prospects. They feel inferior if they don’t have perfect grades and test scores. They believe the only validation for all their hard work will be an admission from one of the chosen highly selective colleges. People aren’t enjoying the ride to college like they should be. So we have nothing against famous colleges; we just don’t think they have the market cornered on great college experiences. Thanks for the question. If you’ve got one of your own, send it to us at blog@collegewise.com. 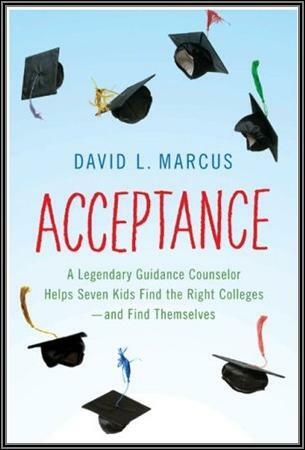 "Acceptance" (A Legendary Guidance Counselor Helps Seven Kids Find the Right Colleges—And Find Themselves)" is the true story of Gwyeth "Smitty" Smith, a public school guidance counselor in a New York City suburb. He's an inspiring example of someone who lives for his job and makes his work all about the kids. 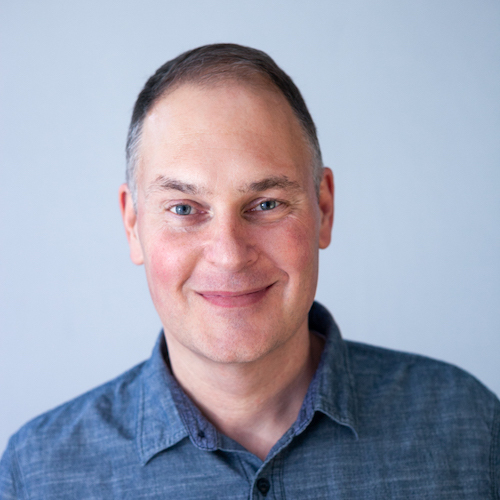 What's particularly interesting is that he's often called "unorthodox" in his approach to counseling kids for college because he encourages students to be introspective, to think about who they are and what they really want out of their lives, and to find the right college matches, even if the schools aren't famous. I'm not sure that approach is all that unorthodox (or rare) for good counselors, but it's refreshing to find a college admissions book that focuses on something other than the bad news about selective colleges rejecting good kids. Time magazine published a good interview with the author, but this part (not surprisingly) stuck out to me. Do you believe that there is too much of an emphasis on getting into those Ivy or Ivy-like schools in this nation? It's absurd that Americans have this idea that there's a small number of schools that are the "best places" for engineers or doctors or architects or teachers. The fact is, a lot of students change their major during college. The name on the gate is not the important thing. It's what the student puts into it and whether he or she finds challenging professors. We've become a very brand-conscious society, and we have decided that in education — more than almost anything else — a big name tells us everything about quality. Guess what? At a lot of top research universities, professors are doing research, and often their focus is not on teaching. I'm a big skeptic about the allure of Ivy League schools. And I went to Brown as an undergrad, did a fellowship at Harvard, and taught writing at Dartmouth's business school. So I love those places, but I don't think you need to go to schools like that to be a success. Here’s an interesting 2005 New Yorker article by Malcom Gladwell about the subjective nature of Ivy League admissions, the inherent elitism it breeds, and best of all, why intelligent students will do well in life no matter where they go to college. I’m including a few of my favorite parts, but the entire article is well worth the read. …the general rule seems to be that if you are a hardworking and intelligent person you’ll end up doing well regardless of where you went to school. You’ll make good contacts at Penn. But Penn State is big enough and diverse enough that you can make good contacts there, too. Having Penn on your résumé opens doors. But if you were good enough to get into Penn you’re good enough that those doors will open for you anyway. No good brand manager would sacrifice reputation for short-term gain. The admissions directors at Harvard have always, similarly, been diligent about rewarding the children of graduates, or, as they are quaintly called, “legacies.” In the 1985-92 period, for instance, Harvard admitted children of alumni at a rate more than twice that of non-athlete, non-legacy applicants, despite the fact that, on virtually every one of the school’s magical ratings scales, legacies significantly lagged behind their peers. Karabel calls the practice “unmeritocratic at best and profoundly corrupt at worst,” but rewarding customer loyalty is what luxury brands do. Harvard wants good graduates, and part of their definition of a good graduate is someone who is a generous and loyal alumnus. And if you want generous and loyal alumni you have to reward them. Aren’t the tremendous resources provided to Harvard by its alumni part of the reason so many people want to go to Harvard in the first place? The endless battle over admissions in the United States proceeds on the assumption that some great moral principle is at stake in the matter of whom schools like Harvard choose to let in—that those who are denied admission by the whims of the admissions office have somehow been harmed. If you are sick and a hospital shuts its doors to you, you are harmed. But a selective school is not a hospital, and those it turns away are not sick. Élite schools, like any luxury brand, are an aesthetic experience—an exquisitely constructed fantasy of what it means to belong to an élite —and they have always been mindful of what must be done to maintain that experience. Are bright, well-rounded kids boring? We're training a new counselor in our Irvine, CA office. Today we discussed highly selective college admissions–what it really takes to get into the most selective colleges. The problem with college admissions today is that all the highest achievers–from around the world–apply to the same 40 colleges. So schools like Stanford, Harvard, Princeton, Duke, Georgetown, Yale, Northwestern and the rest of the 40 most famous colleges have far, far more qualified applicants than they can ever possibly admit. Some of them only admit 1 out of every 10 kids. So most of the applicants, by comparison, don't stand out. They feel inadequate because they haven't published a book or written a concerto or invented a way to travel back in time. "Most of the students I meet on my travels are BWRKs. That's admissionese for 'bright well-rounded kids.' You know, the ones who do everything right. They take honors classes, study hard enough to be in the top 10% of their class, get solid 1350's on their SAT's (blogger's note: That's like 2030 on the new scale), play sports, participate in student government, do community service (sometimes even when it's not required). They're earnest, they're hardworking, they're determined. They do everything right, and most of them don't have a chance of getting in. We deny them. In droves. Another BWRK. Zip. How boring." That's a bleak outlook. Unfortunately, the fact that these schools are so ridiculously hard to get into only feeds peoples' belief that famous schools offer better educations. If you're a BWRK, you are almost certainly not boring. You're smart, you work hard, you commit yourself to activities, and you probably don't spend nearly enough time goofing off and just having fun. In fact, you'd probably be even more interesting if you followed your real interests instead of just trying to please famous colleges. But still, hundreds and hundreds of colleges are going to trip over themselves to accept you. You just have to pick the right schools. High school students (and their parents) have a choice. You don't have to buy into the college admissions insanity. You can reject the idea of desperately trying to stand out to Yale, and you can embrace the idea of working hard, being yourself, and finding the droves of colleges who absolutely love BWRKs. According to the Boston Globe, Harvard received a record 29,112 applications for the Class of 2013. 2,900 of them scored a perfect 800 on the SAT critical reading section. 3,500 got a perfect SAT math score. Nearly 3,700 were ranked first in their senior class. Still, 93% of those amazing, brilliant, accomplish students were rejected. Why? Because Harvard only has 1655 spaces in the freshman class. It's not a miscarriage of justice; it's just simple math (I was an English major, and let's just say that for me to call math simple is really saying something). So, when those 1655 lucky students who are currently freshmen at Harvard go on to do great things in their lives, who deserves the credit? Does Harvard deserve it? I don't think so. Those students' future success will come from of qualities they developed long before they ever took up residence at Harvard, like their work ethic, interest in learning, character, persistence, and maybe even their personality and charm. Schools like Harvard go out of their way to accept students with those qualities. So it really should come as no surprise if the graduates go on to do great things. And what about the 27,000 amazingly brilliant and accomplished applicants who were rejected? Are they doomed to substandard lives now that they won't have Harvard degrees? I know–that sounds like a stupid question because it is. Of course they're not doomed. They're too amazingly brilliant and accomplished to be left behind. I'm not arguing that the Harvard experience isn't a special one; I'm sure most of those 1655 freshmen will have an amazing four years. But so will the rest of those hard-workers who got rejected and ended up someplace else. Smart, hard-working, passionate kids will almost certainly make something of themselves wherever they go. attend. So don't fall for name-brand-itis. It's not where you go to college; it's who you are and what you do while you're there that counts. The right college–famous or not–can certainly help you. But you'll still deserve the credit for your own success. Here's something you never hear. "He was a smart kid who worked hard in college, pursued his interests, found mentors, and made the most of the experience. But unfortunately, his college wasn't a famous one, so he never went on to be successful." Seriously, why do you think you never hear that? You've never heard that because you do not have to go to a famous college to be successful. Anybody who tells you that you do is either misinformed or misguided, but whichever reason it is, they're wrong. Michael Jordan is the greatest basketball player in the history of the game. When he came into the league in 1984, nobody had ever seen spectacular, high flying dunks like Jordan could do. He won six NBA championships. He was the league MVP 5 times. He led the league in scoring 10 times. He was Defensive Player of the Year in 1988. He could shoot three-pointers. He could rebound. He was a leader, a tenacious competitor, and just to top it all off, he was one of the worst trash talkers to ever play in the NBA (I would have been, too, if I could back it up like Jordan did). shoes. It was brilliant marketing foresight. That's a lot like what highly selective colleges are doing when they select kids. The nation's most selective colleges get applications from the smartest, most exceptional applicants in the college admissions pool and then reject almost all of them. For the 10% that are accepted, the colleges are betting on their success like Nike bet on Jordan. Given what those kids have already accomplished by age 18, it's a smart bet. So, how much credit do the colleges deserve when those kids go on to do great things? because of his trademark shoes. Successful people don't do great things just because they attend a famous college. They do great things because they've worked hard enough to become great in the first place. Kids who have the intellectual curiosity, work ethic and passion for their interests to be accepted to a highly-selective college are more likely to apply those same traits once they get there. Put a bunch of those kids together and you have a lot of potentially great future college graduates. They were, after all, great before they ever moved into the dorm. I don't have anything against highly selective colleges. I don't deny that they can offer a unique experience for an exceptional kid who's seeking the opportunity to surround herself with ridiculously smart, motivated, passionate students who are also published authors, concert pianists, patent holders, all-American athletes, artists, physicists, etc. But that experience is a product of the population as much if not more so than it is of the college and the education it provides. Nobody with an ounce of common sense has ever believed that a basketball shoe alone would actually get you into the NBA. Please don't believe that a famous college will make you great. When he was a kid on the varsity team, Jordan wasn't dreaming of having a shoe named after him. He just wanted to be a great basketball player. So don't make your high school years about trying to get accepted to an Ivy League school. If that's the only reason you're working hard, you're missing the point. Your goal should be to become great–at math, painting, the drums, hockey, poetry, drama, computer programming, video production, singing–whatever it is that you love to do. Work hard enough at being great and the right colleges will appreciate you. Then you can bring your greatness (and your shoes of choice) with you to college.